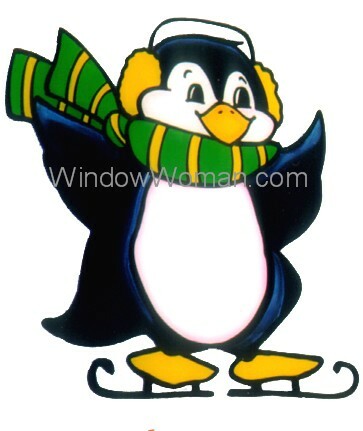 Playful penguins are ready to skate across your windows. And you know it's cold outside when you see even the penguins wearing winter hats, ear-muffs and scarves. Click here to see Pen, the Penguin. Get both sizes in an easy Download* . the large pattern that prints on 9 sheets of regular paper and you just print, tape it together and go. Your pattern will be sent to you instantly after payment as a download. Be sure to check your junk folder if it doesn't arrive within 5 minutes.